Walking into SugarPill apothecary feels a little like you’re walking out of Seattle’s Capitol Hill and into a shop in Diagon Alley. Most days you’ll find SugarPill owner and founder Karyn Schwartz behind the counter, who opened the shop in 2011. Schwartz has staff to run the store a couple days a week, so that she’s able to have days off, but most of the time she’s a one-woman operation. Everything with a SugarPill label on it is made by Schwartz, and every product she carries from other vendors has won her personal approval. SugarPill has a long-standing relationship with the Office of Economic Development, which strives to act as an advocate for businesses as they navigate both neighborhood growing pains and the bureaucratic web of local government. “It’s so important to have people to talk to who understand the challenges of being a very small business owner, and who also understand the importance of very small business at a time when very large ones have so much influence over our lives,” she says of her relationship with OED staff. 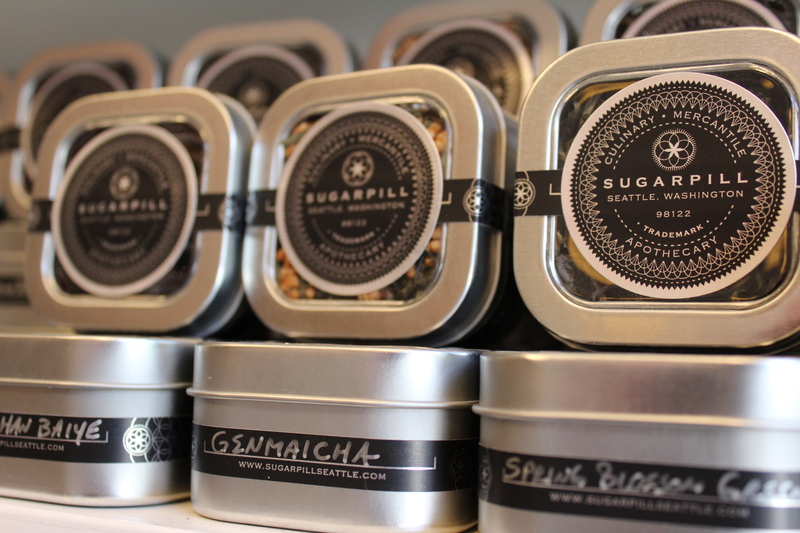 You can experience SugarPill at 900 E Pine Street, and follow them on Facebook, Twitter and Instagram. Owner Erin Andrews and her daughter Siena. The newly-expanded Pike Place MarketFront has a new tenant: indi chocolate, purveyors of everything from chocolate bars to orange-chocolate scented lotion to spice rubs to chocolate liquor infusion kits to chocolate mixology classes, and much more. Indi is a family business: both of founder Erin Andrews’ daughters work at the store, facilitating classes and helping customers. Her husband helps make chocolate in the adjacent small factory, visible to customers through a glass wall. The business itself is named after Andrews’ eldest daughter. Inspired by a family trip, Andrews first began dabbling in the chocolate business by working directly with farmers in Belize. After traveling back and forth to Belize for two years, she started indi chocolate as a way of bringing her business closer to home. “indi chocolate was started in my kitchen where I made cocoa butter-based lotions and lip balms. I started selling at fairs and festivals to be able to afford the equipment to make chocolate,” she explains. Office of Economic Development staff smelling cacoa butter soap. Indi was able to expand to a small retail space at Pike Place Market, where the business was housed for five years. The family produced their chocolate and other products to sell at home, in a commercial kitchen space attached to their house. Siena, Andrews’ youngest daughter who gave us a tour around the shop, seemed relieved at no longer having to do business in such a small shop with her mother and older sister. Now that the business is settled into their new factory, Andrews is looking to expand even further, drawing on the fresh produce and products available daily from fellow Pike Place vendors. “Increasing the amount of local agriculture and dairy has been a long-term goal for indi chocolate, and this will allow us to make fresh and zero shelf-life creations that need to be eaten immediately to be enjoyed at their best,” she says. Indi is also looking to host more classes, events and tours as they head into the summer tourism season, and they hope to focus on wholesaling their products as well. Siena Andrews rings up an order. Thinking of opening or expanding your own business? Get your questions answered on our Restaurant Success site, and get in touch to learn more about our one-on-one consulting. Fitsum Misgano is described by a client on her website as a “superwoman in disguise,” and it’s easy to see why. In 2016, Misgano started Fitsum-ISM, her own day-of wedding coordination business through which she single-handedly ensures that the most important day of couples’ lives goes off without a hitch. Her passion and distinctive business plans won the InnoVentures competition at Optimism Brewing in 2017, and she is now a member of the Ventures Nonprofit board of directors. She soon connected her love of event planning with her desire to be an entrepreneur. “I have always jumped at the opportunity to host parties for friends and families…I had the opportunity to coordinate a few weddings of friends and completely fell in love with it,” she explains. Fitsum Misgano speaks at the 2018 Innoventures event. Those interested in opening or expanding a business can contact the Office of Economic Development at oed@seattle.gov to get connected with free resources, information, and business coaching. Visit Fitsum-ISM’s website, and follow her on Facebook and Instagram. Small Business of the Month: Cubes Baking Co.
Kevin Moulder at the front counter of his bakery in Wallingford. The shop’s mural was painted by his older brother. “If you would’ve told me five years ago that I would have a bakery in the city of Seattle, I would’ve called you crazy,” says Kevin Moulder, founder of Cubes Baking Co. in Wallingford. Cubes is a unique bakery, and the company came about in an unusual way. “The idea came when I purchased a new car about five years ago,” explains Moulder. Purchasing a Nissan Cube and looking for ways to finance his new ride, he had the idea to bake and deliver cube-shaped cakes in his cube-shaped car. “The Cube, which are cube-shaped cakes available in six different flavors, was born,” Moulder says of his company’s signature item. Cubes Baking Co. began as an appointment-only custom cake bakery; during his first year, Moulder filled orders by working out of a commercial kitchen space at his place of employment that his employer allowed him to use, where he was the in-house baker. During his second year, he operated out of a shared commercial kitchen. The process of expanding into a brick-and-mortar location was “overwhelming and exciting at the same time,” says Moulder. His years of experience in the baking industry helped him find creative ways to finance his expansion. By setting up at wedding conventions and selling lots of affordably-priced, simple wedding cakes, Moulder was able to save enough to afford the up-front costs of opening a new store. Navigating requirements and building out the new shop was a long process. “There was a lot of permitting we needed through the City, and it was difficult to find a contractor who was willing to work with us, based on the condition of our unit and the work that needed to be done,” he recalls. Moulder explains the caterpillar cake design he’s working on to OED staff. At last the new Cubes location opened, a little over a year after they signed the lease at the Wallingford location. “We were lucky we had the ability to continue accepting and baking custom celebration and wedding cakes from a commercial kitchen while the build-out was occurring, still allowing us to bring in income,” explains Moulder. Today, Cubes Baking Co. continues to sell custom cakes while also acting as a unique gathering space and resource for the neighborhood. “Our bakery serves as an alternative baking company that provides an underrepresented style of food in this city,” Moulder says of his modern twist on Mexican baking. Inspired by his grandmother and the panaderías of his childhood in San Antonio, Cubes’ conchas, scones, cupcakes, and other pastries are cube-shaped and served in traditional style: grab a pair of tongs and fill up a tray. Moulder’s favorite is the tres leches cake, which comes in six flavors. “I hope that we serve as inspiration for other creative thinking Mexican-Americans, giving them an establishment to be proud of and showing that hard work really does pay off,” says Moulder. Cubes sometimes partners with fellow small food businesses, giving others a chance to sell their food in a neighborhood they may not otherwise have access to. Moulder plans to set up a small area in his bakery where local artists and crafters can sell items as well. 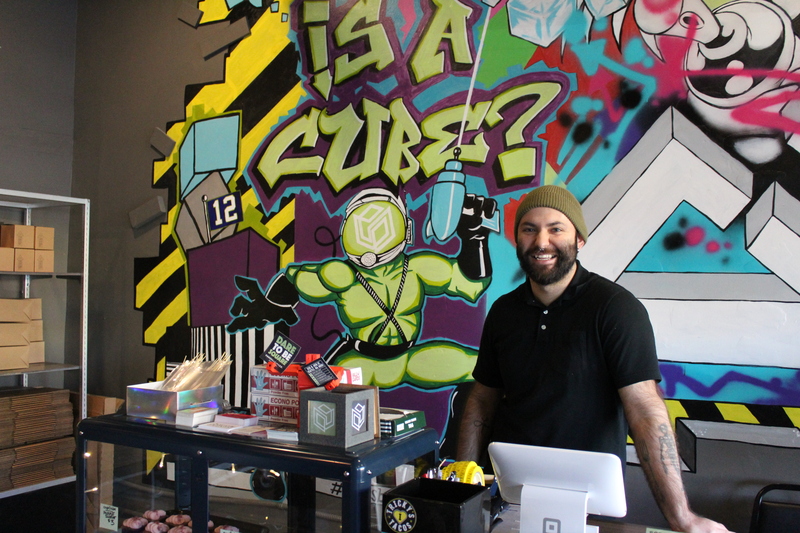 Growing from a one-man operation running out of a shared kitchen to a full store location hasn’t been easy, but Cubes continues to carve out its niche in its neighborhood and in the Seattle community. Those interested in opening or expanding a business don’t need to do it alone—the Office of Economic Development has free resources, information, and coaching available. Entrepreneurs can check out our Restaurant Success page, our Business Decision Engine, or reach out to us at oed@seattle.gov with questions. You can find Cubes Baking Co. (and their incredible RuPaul’s Drag Cakes) on Twitter, Instagram, Facebook, and on the main 45th Street drag in Wallingford. Having a plan is imperative to building a successful small business. Because of this, the Seattle Public Library is offering free business planning seminars during the following times. “Librarians will work with entrepreneurs at all stages of business development to find information and data for planning a business or operating a current business. The Library has print and digital resources which can help with many kinds of business questions, including finding industry information, writing a business plan, sizing a market and identifying customers”. Those interested can make an appointment on the Seattle Public Library website. For more information, call the Seattle Public Library at 206-386-4636 or Ask a Librarian.